bus, cycling, and even Shanks's pony. The most original way for guests to arrive at Seaview so far has been to fly by micro-light plane from Glasgow to Mull, land on the air field at Glen Forsa and then hire a car to drive down to us. So, where there is a will, there is definitely a way! Travelling by plane - there are four major airports in Scotland accepting international flights from around the world as well as from Europe and from many destinations around the UK. Flying is a lot 'greener' today than it was a decade ago and as a GREEN GOLD tourism business we accept and understand that many of our guests are from abroad and have little alternative but to fly into the UK from their home countries. Time is very much of the essence for you and with enormous distances to cover, flying is the obvious option. Further information from the International Air Transport Association (IATA) about how they are tackling their impact on the environment can be found on their website. 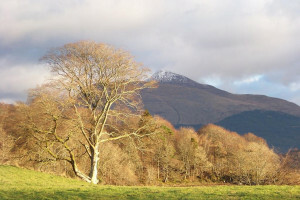 Go Green go by Train- for information on travelling by train to the Isle of Mull and also discounted travel offers on this page. BY CAR For planning your route from around the UK use the AA Route Planner. For up to date travel information for the motorway and road network in England & Wales click here and once you have arrived in Scotland information about travel on the roads and motorways click here. 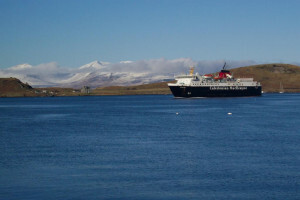 By Ferry - the Calmac Ferry Website has different sailing routes to and from the Isle of Mull and other Hebridean islands. Also check out the different tickets from Island Rovers to Hopscotch tickets - some are much more cost effective than purchasing individual route tickets. 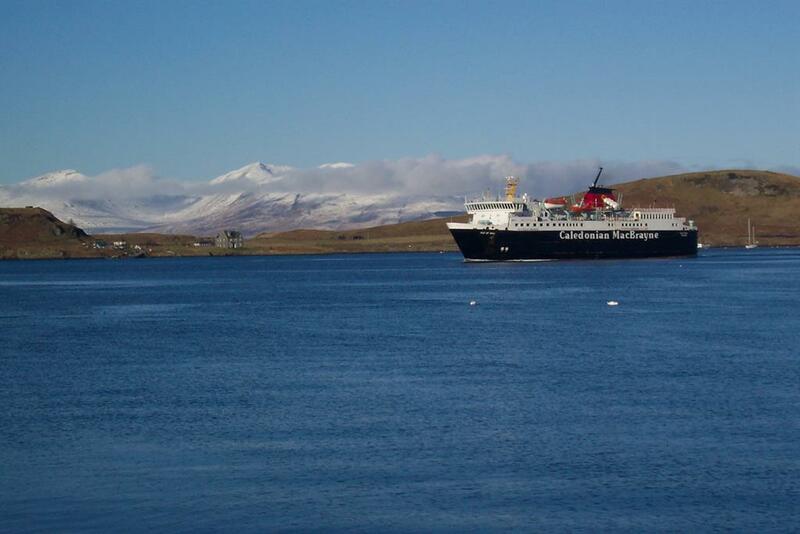 Calmac has an APP which can be downloaded from iTunes for those of you travelling with smart phones and tablets. This will contain vital information for ferry services if the weather forecast is bad as it will contain service status information in case of disruption. Option 1: To continue on the M74 (new part of the motorway now open) and join the M8 on the other side of Glasgow heading for Glasgow Airport and the Erskine Bridge. Leave the M8 at junction 30, and cross the Erskine Bridge keeping to the left hand lane. Travel north on the A82, past Dumbarton (Filling Station available here if low on fuel) and Loch Lomond. (a) above to Oban is a shorter distance, and is about three quarter of an hours' less driving than route (b). 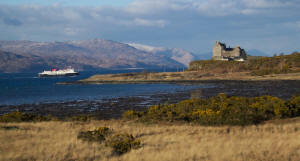 However, the ferry cost is far more from Oban than from Corran/Lochaline and the ferry crossing time is longer too. 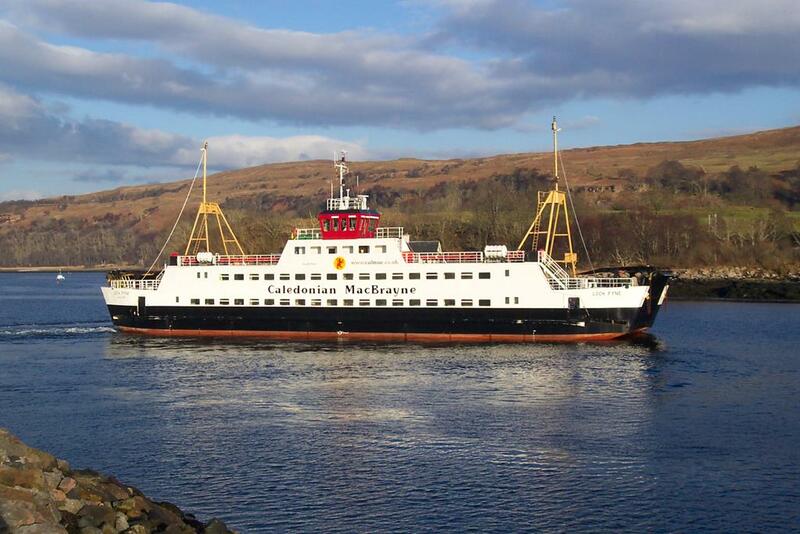 We also recommend you book the ferry from Oban to Craignure in advance, particularly on Saturdays and holiday times. 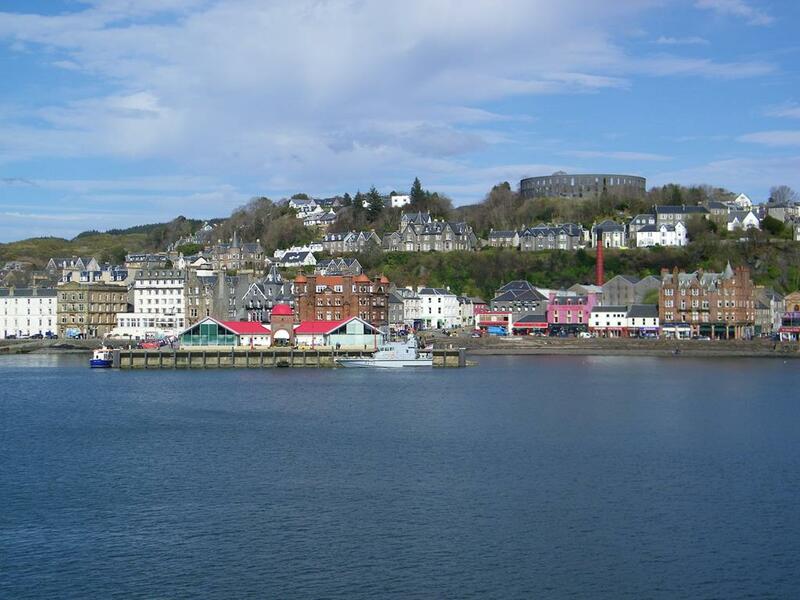 You need to arrive at the Oban ferry terminal no later than 30 minutes before departure times. Oban can get busy and the ferry is at the other side of the town, so delays can occur. Option 2: To continue on the M74 (new part of the motorway now open) and join the M8 on the other side of Glasgow heading for Glasgow Airport and the Erskine Bridge. Leave the M8 at junction 30, and cross the Erskine Bridge keeping to the left hand lane. 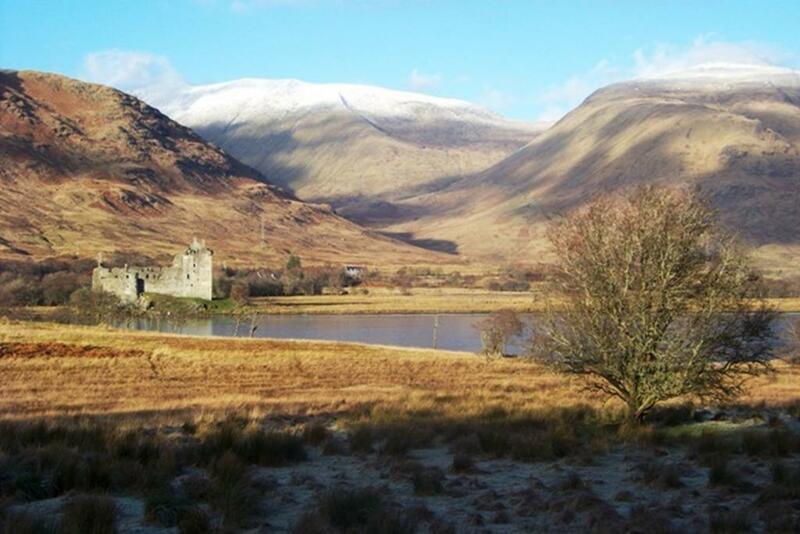 Travel north on the A82, past Dumbarton (Filling Station available here if low on fuel) and Loch Lomond. At Tarbet, go straight on (very scenic route via Inveraray) following the A83 around the top of Loch Long, through Glen Croe to the top of Rest and Be Thankful, through Glen Kinglas and round the top of the famous Loch Fyne. Love seafood and fresh fish? Then stop at The Loch Fyne Oyster Bar for a real treat and then continue onto Inveraray. This is a nice place to stop to stretch your legs and have a cup of tea. Inveraray Castle is where Downton Abbey was filmed for the 2012 Christmas special and is open to the public. 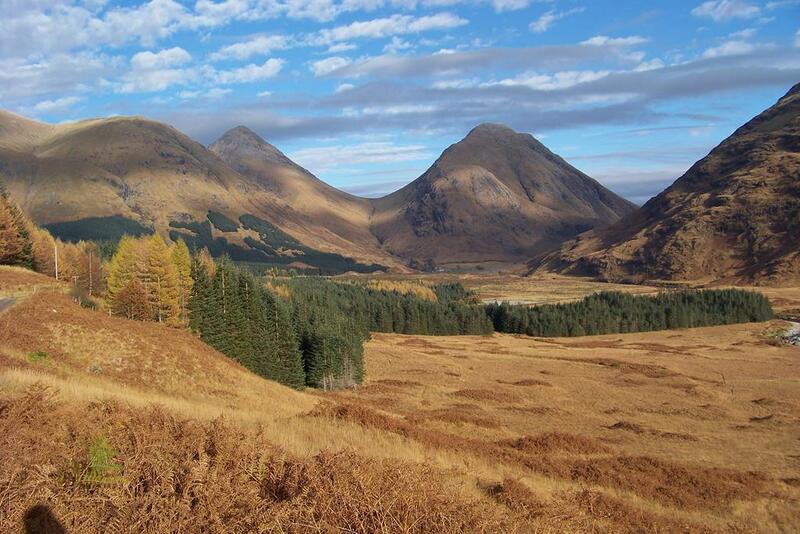 Most people visiting from the north would probably make their way from Inverness to Fort William. 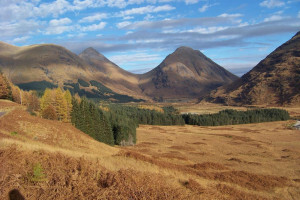 In which case they would most certainly head south, out of Fort William, on the A82 to Corran, and take the ferry to Ardgour. Turn left off the ferry, and follow the rest of route (b) above. One more very scenic route is available to those travelling from the Isle of Skye via Mallaig. 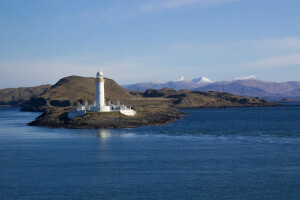 Leave Mallaig on the A830 toLochailort and turn right onto the A861. 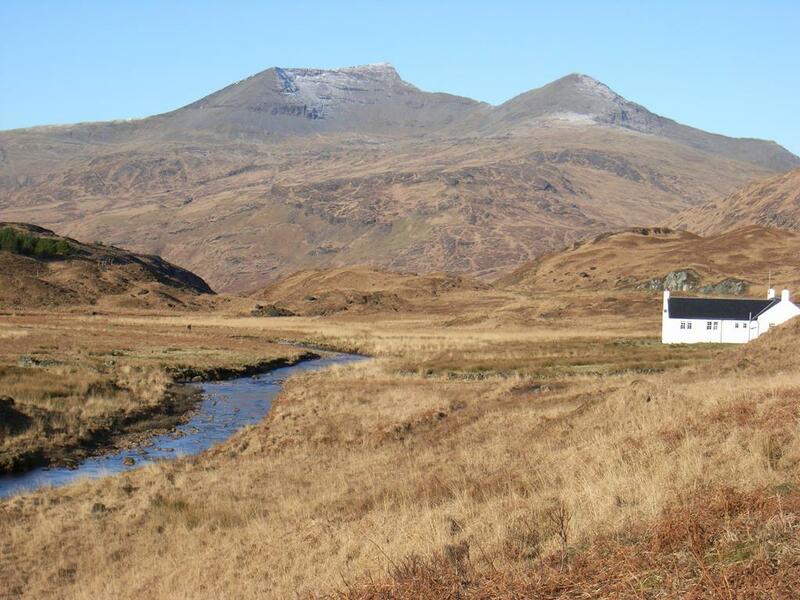 Proceed through Glenuig (nice little pub there), Kinlochmoidart and Acharacle toSalen. Turn right to Kilchoan going through Glenborodale. Catch the ferry at Kilchoan to Tobermory. The route is very slow and up and down, but very picturesque. You don't need to book the ferry, but watch out at peak times. 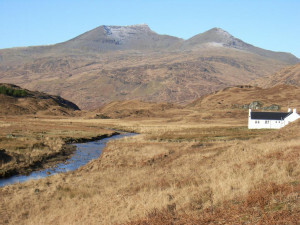 On your arrival on Mull, by car, turn left off the ferry and travel along the A849 (all single track road) for 37 miles, through Bunessan to Fionnphort. If you need some guidance on how to drive on single track roads, click through to our FAQS page. Seaview is situated in the heart of the village on the left, between The Keel Row pub and restaurant and before The Ferry Shop village shop. You can't miss us - if you do, then the next stop is the Atlantic Ocean! You can park on the private off-road car park at the front of Seaview. Welcome - you have arrived. The ferry to Iona is a minutes walk from Seaview. Check-in time at Seaview: Check-in time for your rooms is usually 4 p.m. onwards so if you are arriving in Fionnphort early, our guests very often spend time on Iona before coming back to Seaview. By all means pop in and see us, let us know you have arrived and have left your vehicle on the front. If you have luggage you would like to leave with us, you can always leave it in the sitting room until your room is ready. 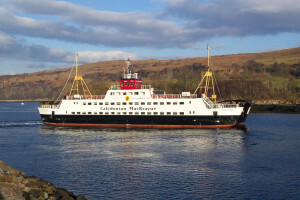 Click through to book and see the current Calmac ferry timetables or return to the homepage and scroll down to the bottom of the page where you will find links through to a number of travel websites. Travel information for Iona. The only cars allowed on Iona are local residents and permit holders. 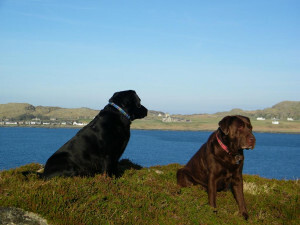 As our guests you are welcome to leave your car at Seaview and walk to catch the ferry for Iona or Staffa. 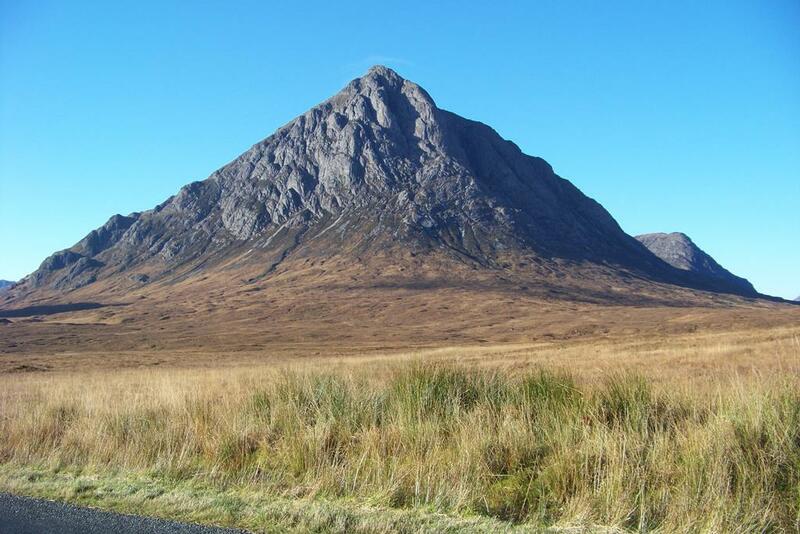 If you have mobility problems at all you can arrange to be collected on the Iona side by taxi - Tel: (01681) 700766 or Bunessan/Fionnphort: 07887 774550. For further information about Iona and the boat trips out to Staffa and the Treshnish Isles please have a look at our ATTRACTIONS page. We are happy to book the trips for you on your arrival - please just ask.